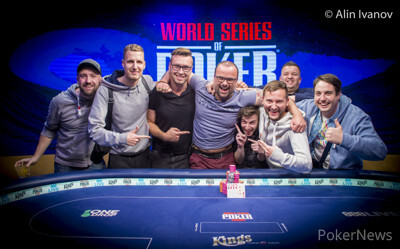 Allen "Chainsaw" Kessler once again came oh-so-close to his first World Series of Poker bracelet, reaching heads-up play in Event #6: €2,200 Pot-Limit Omaha at WSOP Europe at King's Casino. It was Kessler's fourth crack at a bracelet with one person left to beat. Once again though, he was left wanting. Instead, home country hero Lukas Zaskodny toppled Kessler after a marathon three-handed match saw both of those players as well as Krasimir Yankov hold chip leads. 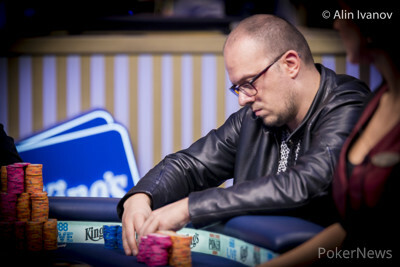 Zaskodny claimed a €93,677 first-place prize and his first bracelet, topping a field of 191 entries. Zaskodny became the fourth Czech player to win a WSOP bracelet and the third this year, joining Artur Rudziankov, who won Event #58: $1,500 No-Limit Hold'em during the summer, and Martin Kabrel, who shipped a bracelet just days ago here at King's. Being on home turf made the win extra sweet, said Zaskodny, who owns a business importing consumer electronics and domestic appliances. "I'm really happy it was in my country," he said. "It's a different feeling. I'm happy my friends can be here with me. "There is so much poker action in the Czech Republic. We don't necessarily have to travel. There is a lot of really, really good poker players. I think you will hear about them in the future much more. This year showed that we have good players." Though Zaskodny said he plays the game seriously, this win still represented a massive breakthrough for a man whose previous best cash was just over $10,000. He traveled to the United States for the first time this summer to compete in the WSOP. He said it was a special experience to see U.S. culture, but the trip left him wanting in terms of results. His closest call came in the Main Event, where he narrowly missed cashing as he was eliminated just before the bubble. Still, the experience of the long grind in the Main may have helped prepare him for this Day 3 PLO marathon. Zaskodny and Kessler both got lucky in a three-way all-in pot against Liran Twito in which Twito flopped the nut straight and Kessler shove over his bet with bottom two-pair and a straight draw. Zaskodny got it in with the nut flush draw and a gutshot, and both players got there, eliminating Twito and shipping Kessler a triple up. When three-handed play began, Kessler was the shortest but still had just under 50 big blinds. A five-hour battle ensued with each player taking turns grabbing the lead and few big pots getting to showdown. Zaskodny said he was mentally prepared for the challenge. "It was really deep and my opponents were really good," he said. "I expected a long play." When Kessler eliminated Yankov in a flip to surge into a heads-up lead, it looked for all the world like it was finally Chainsaw's time. He had the lead and he had the experience of playing for big stakes. However, he couldn't get there when he got an open-ender and a flush draw in against Zaskodny's set. Reduced to a short stack and visibly devastated, Kessler found one double. However, he found himself in a brutal spot when all his chips were in the middle with deuces full of jacks against Zaskodny's jacks full. The river failed to produce Kessler's lone out in the deck and he had to settle for bridesmaid status once again. One man's devastation is another man's elation though, and a thrilled Zaskodny leaped into the waiting arms of his friends and yelled with joy at the sight of the safe river card. "It's an amazing feeling," Zaskodny said. "I'm really happy. It's the wish of every poker player." 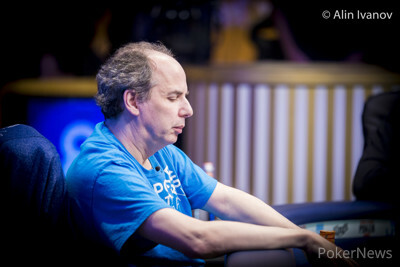 The stream went down again and during that time, Allen Kessler was eliminated in second place. Kessler got all in on the turn drawing to one out. He had on a board against the of Lukas Zaskodny. The river was the which sent Kessler home in second place with his fourth runner-up finish in a WSOP bracelet event. Kessler will take home €57,897 for his finish and Zaskodny, not Kessler will be taking home his first WSOP gold bracelet and the €93,677 first prize. Allen Kessler and Lukas Zaskodny are continuing their heads up battle while the production team is working to get the stream back up. Kessler just lost three hands in a row and is sitting just below 3,000,000 chips. Zaskodny raised to 250,000 and Kessler called. Then Zaskodny fired the flop and Kessler folded. The next hand, Kessler limped and Zaskodny raised to 300,000. Kessler called. The flop came and Kessler folded to a 225,000 bet from Zaskodny. Zaskodny made it three in a row when he limped the button and Kessler checked. The flop was and both players checked. The turn was the and Kessler made it 150,000 to go. Zaskodny called. The river was the and Kessler checked. Zaskodny bet 275,000 and Kessler folded. 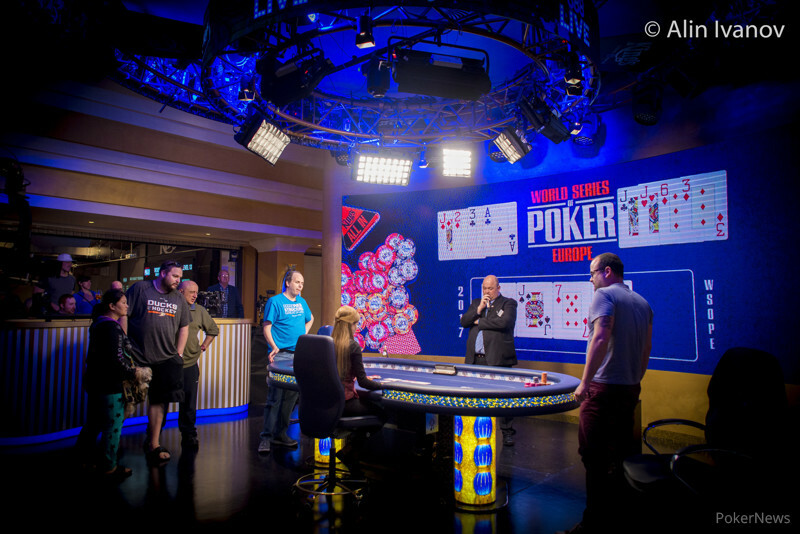 Due to technical difficulties with the live stream, PokerNews coverage is currently on hold. We apologize for the delay. At the moment, Allen Kessler and Lukas Zaskodny are still heads up, with chip stacks nearly even after first Zaskodny and then Kessler doubled up. The players are taking a 15-minute break. When they return, Allen Kessler will hold a slight chip lead against Lukas Zaskodny. Allen Kessler raised to 200,000 with and Krasimir Yankov called from the big blind with . The flop came and Kessler bet 200,000. Yankov raised to 1,040,000 and Kessler raised to put Yankov all in. Yankov called. The turn was the and the river was the , giving Kessler the win and eliminating Yankov in third place. Yankov will take home €40,353. Allen Kessler raised to 240,000 with and Krasimir Yankov made it 720,000 with . The flop came and Kessler folded to a shove worth about 700,000.